Bridget Zinn LIVE Silent Auction at Portland's Lucky Lab TOMORROW! The day is finally here, kids: Tomorrow, Friday, May 29, 2009, from 6:30 pm to 9 pm, we will be holding a live Silent Auction to benefit the fabulous and effervescent Bridget Zinn at the Lucky Lab Brewery on SE Hawthorne right here in Portland, Ore.
Whew. That's a long sentence. With plenty of bolding. Come out! Bid on amazing stuff, like limo service in a vintage Packard! (Sweet.) Or a special VIP Winery Tour and Tasting at Rex Hill Winery during harvest this year! Or a mixed case of yummy wine from the same! And, don't forget that you can still buy raffle tickets to win a chance at a FREE AUTHOR VISIT for your school or library from either myself, Emily Whitman, or Rosanne Parry (your choice). Remember: The more tickets you buy, the better your odds of winning. It's basic probability. So buy lots, and ensure your victory for a few paltry pennies! One anti-nausea medicated patch: $1300. Think about that: 5 days of not vomiting might cost the same as your monthly mortgage. Yeek. Maybe some extra freebies to lucky attendees! Did I mention the fact that it's being held at a Brew pub? Mmm, beer. Foamy. Steven Gould has donated a signed first edition of his book, Wildside. Described as an homage to a young Heinlein’s young adult fiction by Amazon.com. This is a great stor about parallel worlds and ecological concerns. On a dark and stormy night a week and a half ago, children and parents gathered in a spacious room at the Champaign Public Library, giddy with excitement over meeting beloved author Jennifer Holm, co-creator (along with her brother Matt Holm) of the Babymouse graphic novels for children. While the rest of Chambana took shelter from tornadoes in basements and bathtubs, Jennifer regaled us with tales from her childhood, growing up with four brothers and no sisters in the 1970's (I can relate!). She engaged the kids in the audience with Babymouse drawing contests, a Babymouse song, a phone call to her brother (during which he was put on speaker/microphone), a photo tour of a "typical" (Babymouse's favorite sarcastic expression) day in the author's life, and book signing. It was a fantastic introduction to an author's talk for Molly--and me! David Macinnis Gills donated his recently released audiobook, Soul Enchilada, narrated by Michelle Carmen. “Girl meets boy at a car wash.
And probably this would have been a sweet teen romance. . . . If Beals hadn’t been sitting next to her in the car. If Beals hadn’t been a supernatural repo man looking to repossess her car. David Macinnis Gill delivers the whole enchilada. With a side of soul”…from David Macinnis Gills website. Something for everyone in this book basket. Thank you to e.E. Charlton-Trujillo for donating these fabulous books. Twelve-year-old Chula Sanchez isn’t thin, isn’t beautiful, and because she’s Mexican, isn’t popular in her south Texas town. And now that a car accident has left her father paralyzed and her plagued with seizures, she is poor. But Chula’s father is determined to pull his family out of debt. He sends for El Jefe—the most revered prizefighter in Mexico. Chula’s father hopes that with steel-pipe arms and fists like pit bulls, El Jefe will win the local illegal boxing matches and bring home much-needed money. But El Jefe—a man who many see as a monster—only brings confusion to a home that is already filled with problems. And now Chula must decide for herself whether good and bad can reside in one person and whether you can have strength in your heart when your fists have none. For fans of S.E. Hinton’s The Outsiders, here’s a story that is as cinematic as the book it emulates. Full of grit and poetry for the rebel with a romantic heart, Charlton-Trujillo’s (Prizefighter en Mi Casa)throwback novel packs an emotional punch to the gut without overdoing it. The book opens in Three Rivers, Tex., population 4,043, as Michelle (Mickey) Owens witnesses her alcoholic father’s funeral. Michelle’s father was abusive, which led her mother to abandon them and her golden boy-turned-bad older brother, Danny, who ran off when Mickey was 13, after the accident that killed his best friend Roland. Now Danny has returned to pick up the pieces after six years, and the embittered Mickey, who has been marked an outcast by association, must decide if she’s able to forgive him for leaving and come to terms with what happened to Roland. Mickey’s internal battles feel honest, and it’s easy to empathize with the litany of emotions she trudges through, though outwardly she acts headstrong and sullen. Charlton-Trujillo has created a roster of multidimensional characters; readers will hold their breath with each interactions-especially the romantic scenes between Mickey and her crush, Ricky, and her banter with her Latina best friend, Christina. Even if teens are unable to relate to the specifics of Mickey’s situation, they will surely be taken by the story’s winning mix of tragedy, romance and chemistry. Ages 12-up. Nonie has had it with her family—a squalling baby brother and mush for breakfast again. It is just too much. She goes next door to live with Grandma. Grandma listens when Nonie is talking, and she does not serve mush! Her wise grandmother just nods and takes her hand as they walk to church together. Nonie stays solemn and does not smile when Daddy passes the collection plate, but perks up when she hears about the church picnic that afternoon. After eating, Grandma just wants to rest her bones on a bench, but Daddy is ready for a boat ride and time on the swings. By the end of the afternoon, Nonie knows where she belongs. She goes home where her smiling momma and her baby brother greet her. Softly colored pastel illustrations depict a loving African-American family. This book would be a good choice for sharing with children experiencing the arrival of new siblings in their families. A family of monkeys has moved into the refrigerator! At least, that’s what Maggie says. Of course, no one else can see them, but that doesn’t stop Mom and Dad from playing along, even going out of their way to accommodate the invisible visitors. An extra bowl of pudding at the table? A DO NOT DISTURB sign on the fridge? What’s a rustrated, reality obsessed brother to do? Readers will hoot with laughter at this warm, witty, wildly imaginative story of sibling love and loyalty. of “Heavenly Skies & Lullabies~Illustrated Song Book & CD”. This is a lovely children’s song book and CD, accompanied by soothing and celestial illustrations. The book opens up to 11 enchanting lullabies, along with lyrics and music engravings for piano and guitar. Children blessings’ & prayers’ are integrated into each heart-warming illustration to set the tone for the lullabies. Bronze Medal for Best Children’s Book with Music. I will be happy to do a critique for the first 20 pages of your manuscript. Have a character in a Babymouse book named after you! 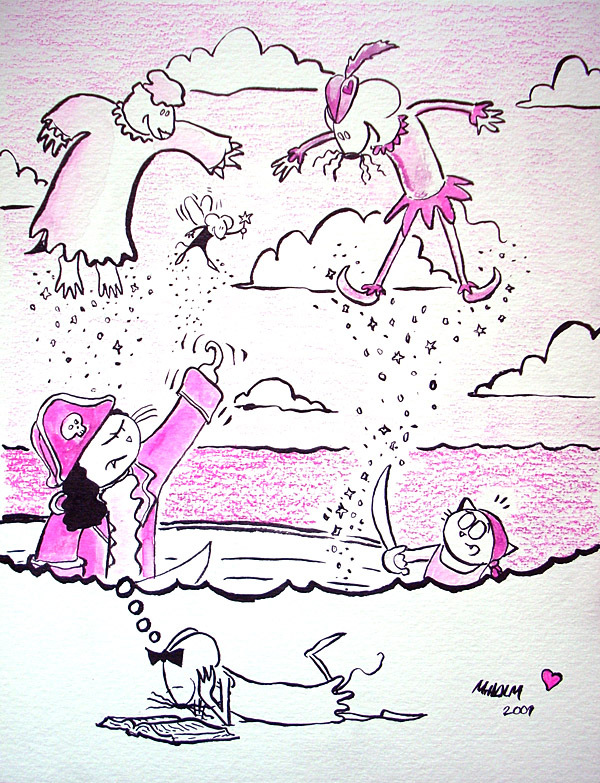 I recently blogged about the Benefit Auction for Children's Author and Librarian Bridget Zinn. It's in full swing now, kids! Items aplenty, bids aplenty. Get the stuff you want while the getting's good! Maybe you want a signed first edition of Stephenie Meyer's Eclipse. Maybe you want a 3-night stay on the water in Port Townsend, Wash.
Bid now, and you'll finally get to see your name in lights! Or at least in ink. Fellow Kidlit Blogger, Librarian, and Author Bridget Zinn needs your help! Aw ... isn't she cute? Of course she is. Bridget was recently diagnosed with stage four colon cancer. She explains the whole thing here. SO, though she and Barrett may be new to Portland, they are not without friends. That's right—they have us! 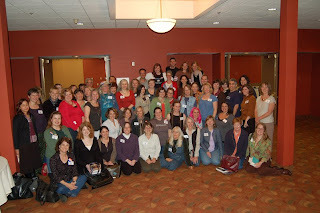 After the 2008 Portland Kidlit Conference, all of us Stumptown/Bridge City/Rip City/Insert-yet-another-nickname-for-Portland-that-no-one-outside-of-Multnomah-County-has-ever-heard-of children's literature types woke up and realized we had a community here! So we're helping all we can, but the great thing about this newfangled age of wires and tubes is that YOU can help, too, wherever you are! JOIN US IN AN ONLINE AUCTION TO BENEFIT BRIDGET ZINN! It's easy. Go to the auction site linked to above. 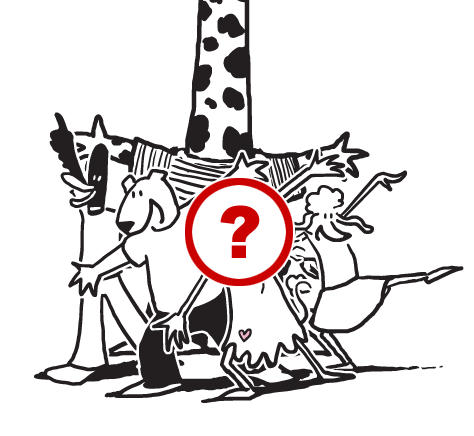 See which of the fabulous item(s), lovingly donated by members of the kidlit community, you want/need/must have. Each item is in its own post. To bid, simply write your bid in the comments section for that item. Simple! Yeah, that's right. You heard me. That's from the auction item, "Three Night Guesthouse Stay with Breakfast" in Torrey, Utah, just outside Capitol Reef and Bryce Canyon National Parks. Just try turning your nose up at that! Anyway, check out the auction items; there will be more coming on-line over the next few days. Bidding starts ASAP, and ends May 29. Oh, and if you have something fabulous YOU can donate, please e-mail Jone MacCulloch. Conveniently, May 29 is also the date for Phase 2 of our evil scheme to help a friend and colleague in need: A LIVE auction at Portland's Lucky Lab Brewery, with many more outstanding items up for bid (though, generally, items that are not so easily transported outside of the Portland Metro Region). Stay tuned for more details! Did I forget to mention GO BID RIGHT NOW?